Ayurvedic dietary recommendations for vata-pitta-kapha type individuals follow a common sense approach, requiring small changes to your food choices and eating habits. 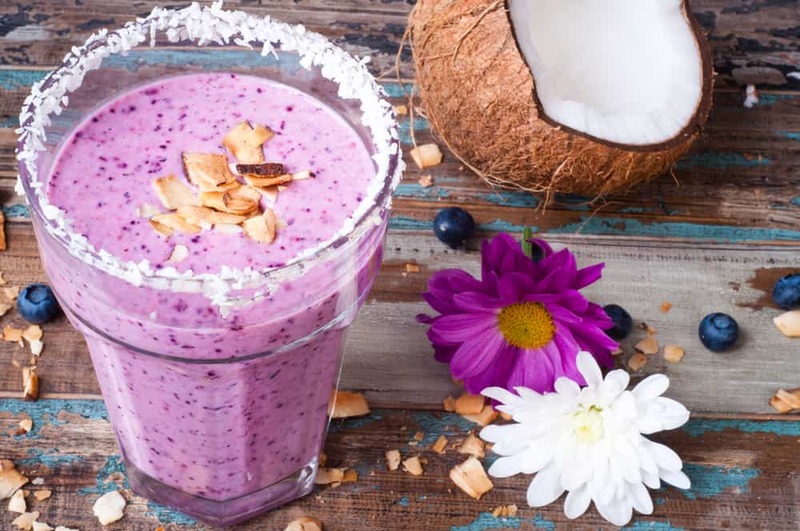 The importance of a wholesome diet that includes every food group is heavily emphasized, but there are clear guidelines on specific foods and beverages that should be included or limited. These recommendations are based on the unique properties of your dominant doshas and an analysis of the unique properties of foods, which influences their interaction with the doshas. 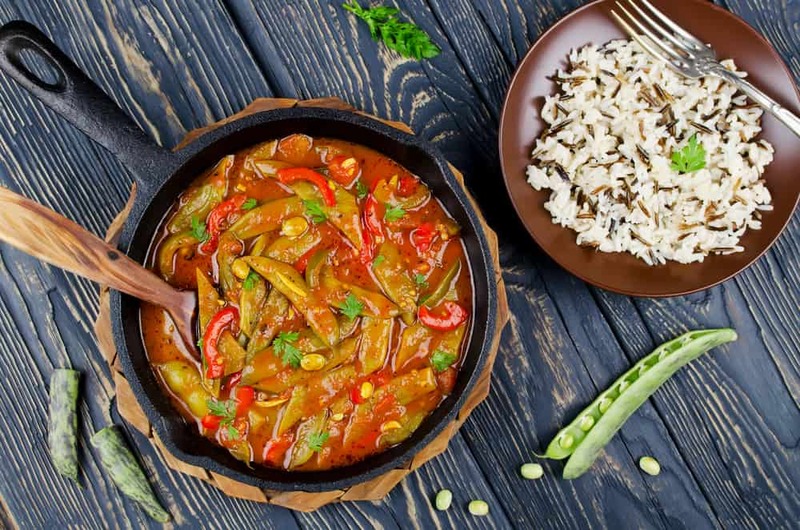 When planning an Ayurvedic vata-pitta-kapha diet, we look at 3 important qualities or characteristics of food – Rasa or taste, Virya or energy, and Vipaka or post-digestive effect. Understanding this Ayurvedic classification of food and your unique doshic makeup will allow you to make informed dietary choices. As someone with a tridoshic constitution, which is not very common, you have it pretty easy, as you can enjoy almost all foods in moderation. However, you need to understand the Ayurvedic classication of foods, so that you can recognize what constitutes balance. This may be a little tricky when you’re just getting started, which is why it helps to refer to a dosha-specific diet guide. So, here’s what every vata-pitta-kapha type individual should keep in mind. As a tridoshic individual, you can be vulnerable to imbalances of all three doshas – vata, pitta, and kapha. This makes it important for you to recognize the qualities of each of the doshas. In case you notice signs of aggravation of any one of your doshas, you should modify your diet to pacify that dosha. In case of vata aggravation, your meals should include a significant amount of foods that are heating, moist or oily and lubricating, grounding, and stabilizing. Salty tastes have a pacifying effect only on vata and should therefore be included too. In case of pitta aggravation, your meals should include more foods that are cooling, heavy or grounding, and drying. Pitta can be pacified with sweet, bitter, and astringent tastes. However, these tastes can also pacify vata and kapha. This makes it a challenge, as you now need to ensure that you balance your intake to avoid unnecessary vata or kapha pacification. This basically means that a sweet taste that pacifies both vata and pitta, while aggravating kapha, should be combined with bitter tastes that pacify pitta and kapha, while aggravating vata. This would balance the pacifying and aggravating effects on vata and kapha, only pacifying pitta. In case of kapha aggravation, your meals can include foods that are heating, light, and drying. Kapha can be pacified with pungent tastes as pungency has a pacifying effect on kapha alone, without pacifying your other two dominant doshas. For a tridsoshic constitution, it is especially important that your diet choices reflect the changing seasons. Vata aggravation is most likely during the months of fall and early winter, pitta aggravation during late spring and summer, and kapha aggravation during winter and early spring. The best way to start your day is with a cup of herbal tea with herbs, using herbs that pacify all three doshas, such as anantamul and brahmi. Herbs like ginger and ashwagandha can also be beneficial, but should not be used during the summer months as they can aggravate pitta. Although lunch is regarded as the most important meal of the day, a healthy breakfast helps to keep your energy levels stable through the morning, lowering the risk of unhealthy food cravings prior to lunch. Staying attuned to the seasons and their influence on your doshas, it would be best to consume a light breakfast that includes cream of wheat or barley, or puffed rice or wheat with coconut milk and ghee during summer, fried eggs with sautéed or steamed vegetables or a bowl of cereal with hot milk during the months of fall, and fresh fruits, stewed fruit, fruit juice or smoothies during winter. Occasionally, you can also consume an Indian breakfast staple called poha that has a balancing effect on all three doshas. Prepared with rice flakes that are similar to rolled oats, the rice is soaked, drained, and lightly fried along with herbs and spices like mustard seeds, cumin seeds, asafetida, cilantro, and curry leaves. 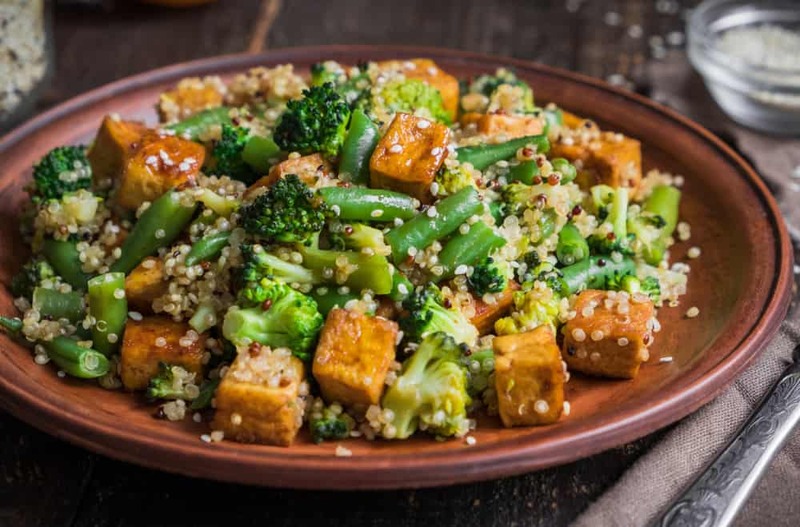 Ayurveda regards lunch as the most important meal of the day, so no matter how busy your schedule may be, try to have a wholesome and balanced meal that includes various food groups. The ideal foods to add to your lunch include the likes of cooked basmati rice or oats or quinoa, with split yellow múng dal and ghee. As an alternative, you could include a whole grain non-wheat pasta. This should be accompanied with sautéed or cooked vegetables like asparagus, artichoke, bok choy, parsnips, parsley, okra, pumpkin, sweet potatoes, yams, squash, and taro root. Raw veggies and salads can be consumed during summer, but in moderation. Your meal should also include some healthy protein-rich foods. This could come from legumes like azuki beans, red or green lentils, French beans, black eyed peas, tofu, and tempeh. Meats may be consumed in limited quantities and should only include healthier varieties like fish, chicken, and turkey. Red meat intake and processed meats should be severely restricted or avoided. All of your meals can be garnished with herbs and spices like asafaatida, basil, cinnamon, clove, cumin, dill, fennel, fenugreek, mint, ginger, sage, saffron, rosemary, thyme, and turmeric. You can follow your meal with a drink of buttermilk or an herbal tea. With a tridoshic constitution, it is important to look for signs of imbalance and to make dietary adjustments to treat aggravation of any dosha, as and when they arise. Your dinner can include similar foods as at lunch, but the serving size should be significantly smaller. Aside from rice and pasta, you could include a small bowl of soup or stew. Kitchari is a particularly healthy option and can be prepared to meet your special tridoshic requirements. 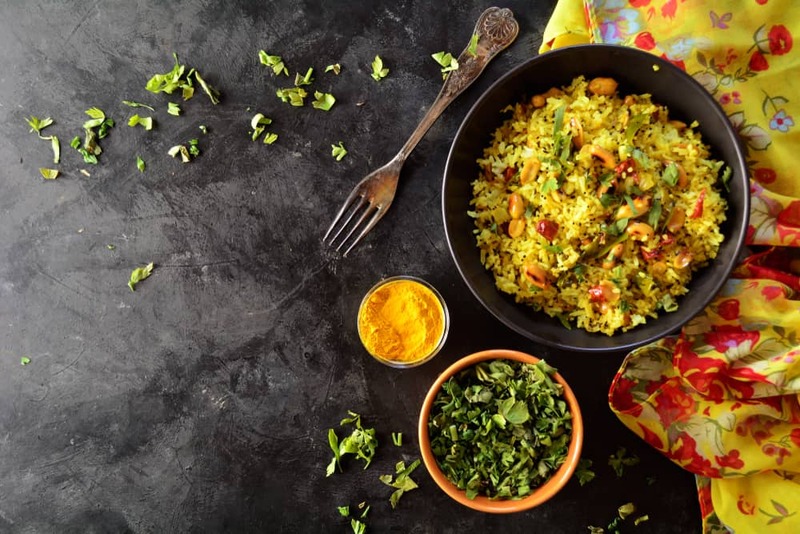 While basmati rice and split mung dal are the staple ingredients in kitchari, you can include herbs and spices like fennel seeds, mustard seeds, cumin seeds, ginger, turmeric, cinnamon, and coriander to cater to your tridoshic needs. This can be accompanied with or combined with vegetables like French beans and carrots. It can help to follow your dinner with a glass of buttermilk or herbal tea, favoring herbs like brahmi, cumin, coriander, and fennel. With your tridoshic constitution, you have a wider range of snacks to choose from and can include fresh or stewed fruits, dry fruits and nuts, healthy nut butters like almond butter on toast or tortillas, avocado dip with cucumber or celery sticks, roasted yam or sweet potato, berries with coconut milk, and so on. Healthy fruit choices for your dosha type would include apples, avocado, sweet apricots, banana, berries, cherries, grapes, limes, lemon, and pomegranates. Dry fruits like raisins, dates, and dry figs are good options, while nuts like almonds, pine nuts, cashews, and seeds like pumpkin and sunflower are healthy choices. Nuts can be roasted or fried lightly before consumption. Obviously, adhering strictly to this routine can be challenging, especially when it comes to dinner time. If your work schedule does not allow for an early dinner, simply try to eat as early as you can. Physical activity is a vital part of your Ayurvedic lifestyle. A vata-pitta-kapha balancing yoga routine gives you the best asanas and routine to maintain your dosha balance.